FIRST: THE GRAND MARSHAL Legendary Atlanta Hawks basketball star Dominique Wilkins will serve as Grand Marshal at the event on Saturday, Oct. 14. 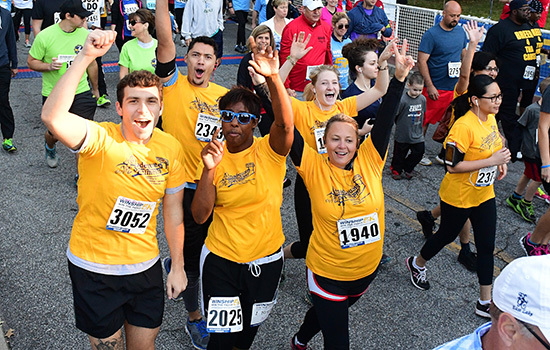 SECOND: THE LOCATION Still on the Emory campus, but moved because of construction, the 5K run/walk will be headquartered at the heart of the university on the Quadrangle (off Dowman Drive). A new course will still run through the campus and the beautiful historic neighborhood of Druid Hills. THIRD: THE GOAL We're going for $1 million this year. "We have so many amazing and dedicated participants," says Executive Director Wally Curran, who initiated the event in 2011, "I know we can reach this goal." PLUS: THE WEBSITE has been updated (winship5k.emory.edu). Participants who want to join but can't be at the event have an option to join virtually, donate to the cause, and be recognized. It's only a few weeks away, so get ready, get set, go!